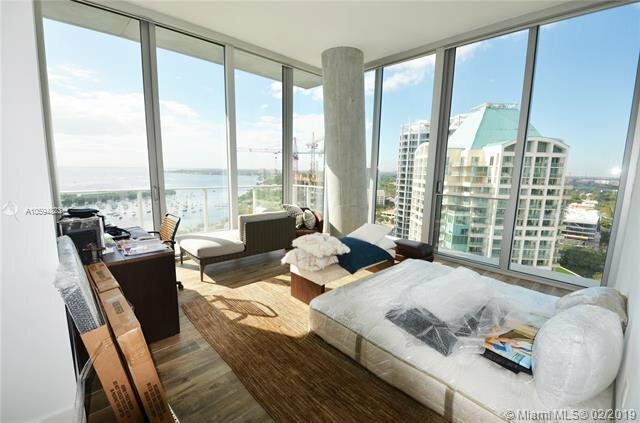 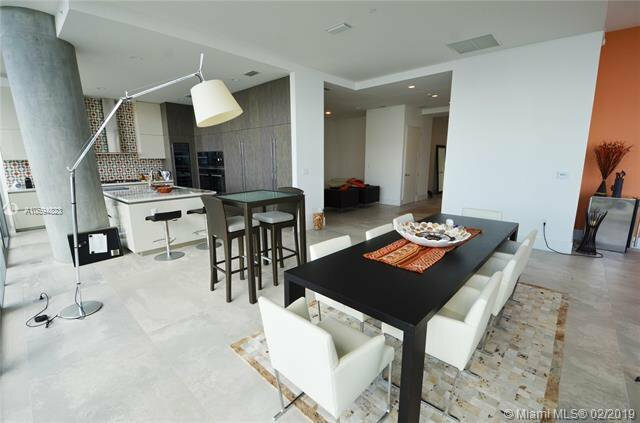 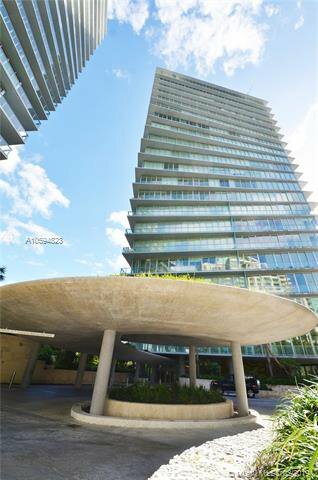 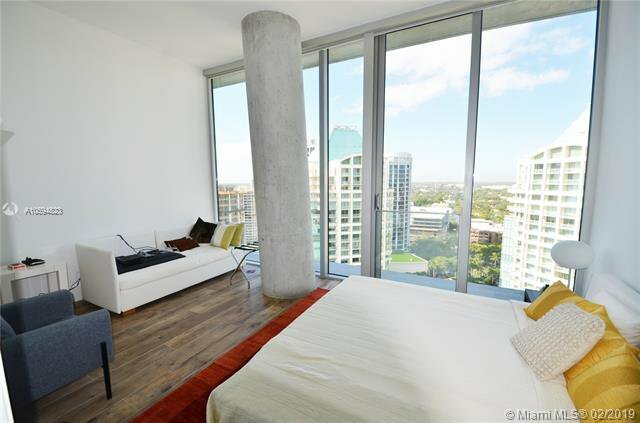 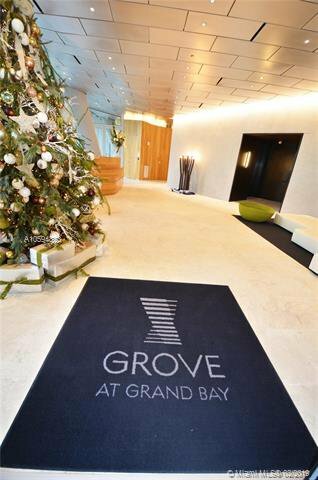 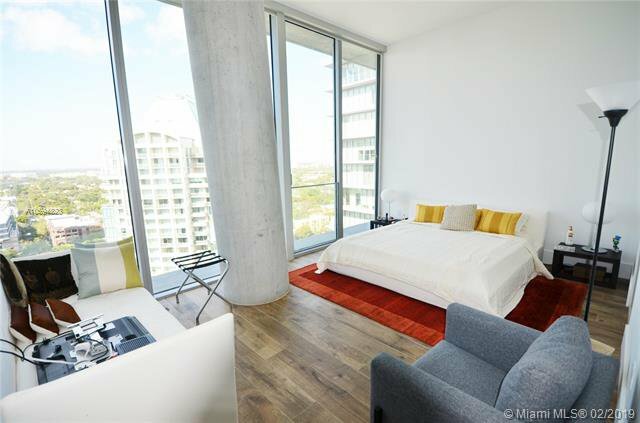 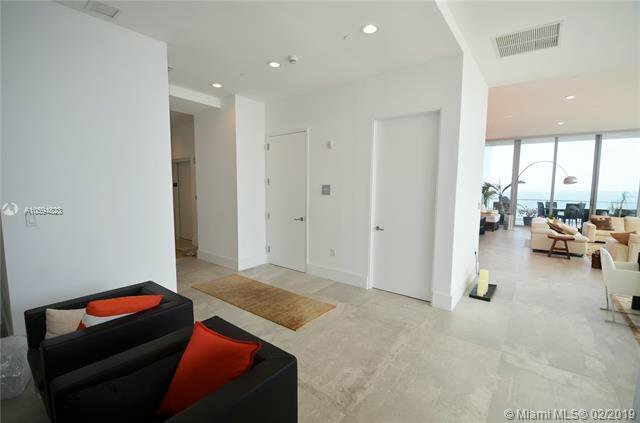 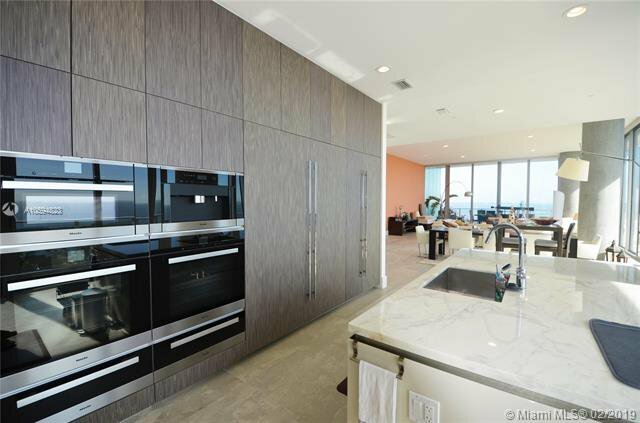 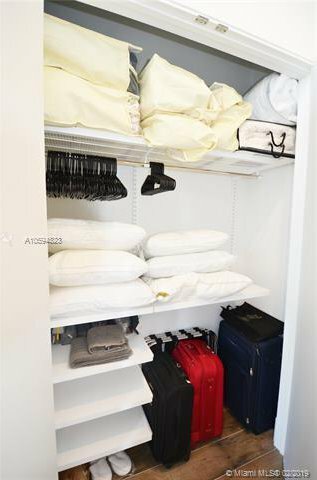 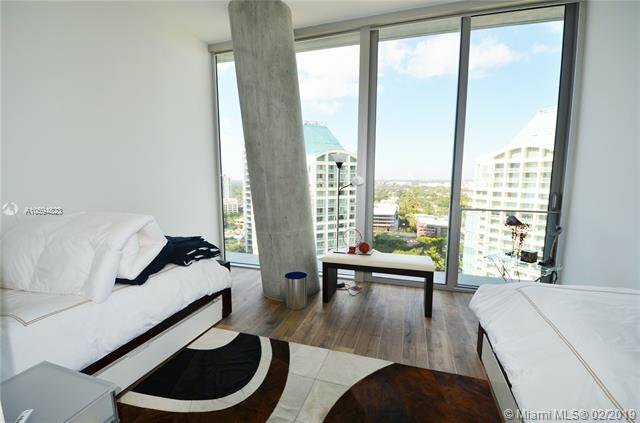 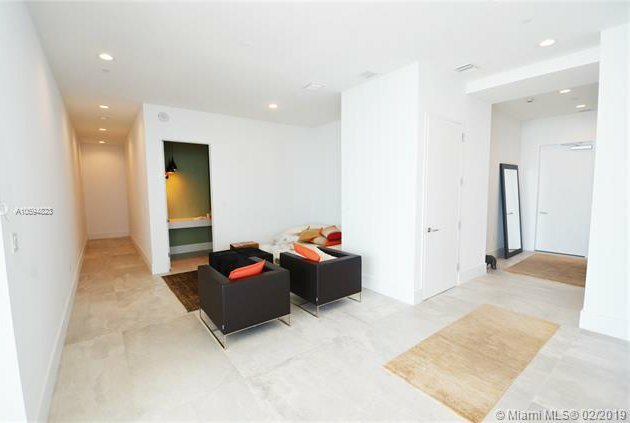 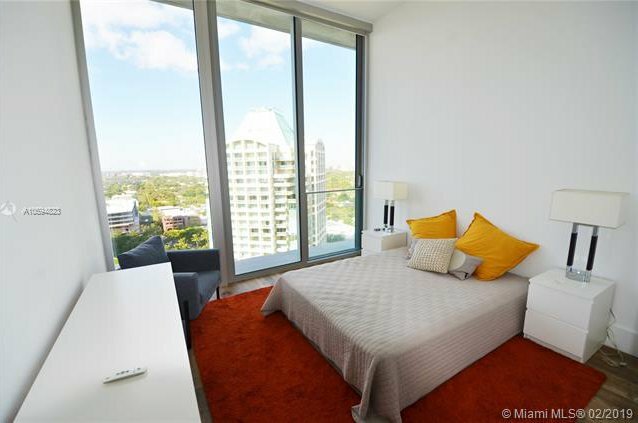 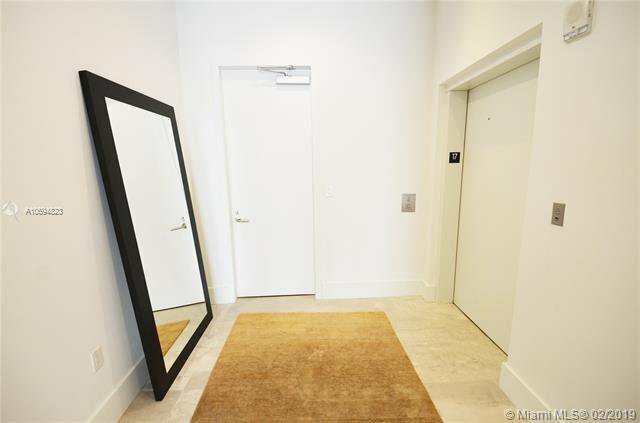 Designer-finished 4/5 dream unit on the 17th floor of 37 custom-unit South Tower of the iconic Grove at Grand Bay in Coconut Grove. 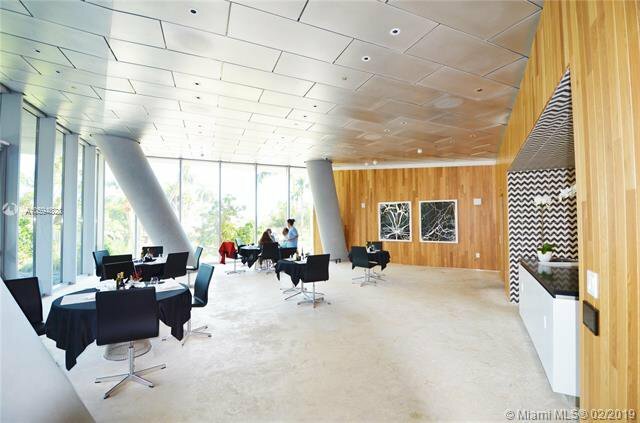 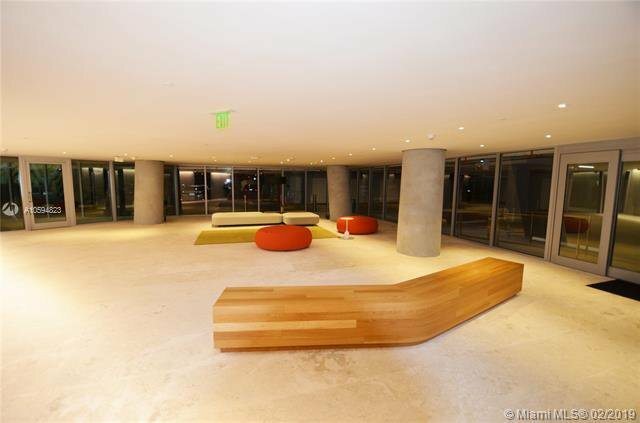 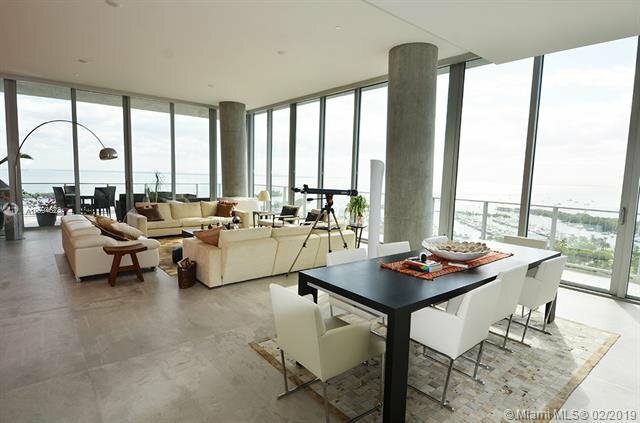 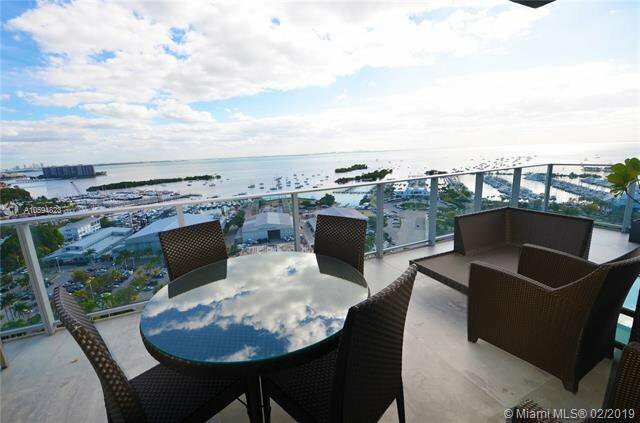 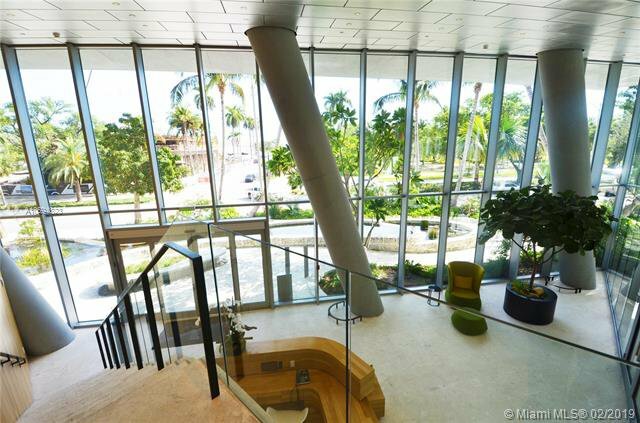 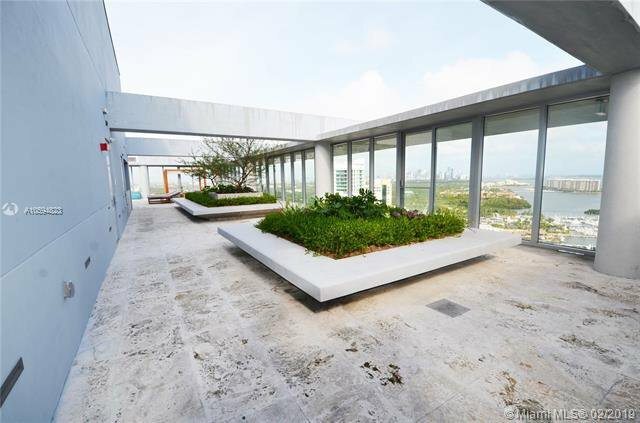 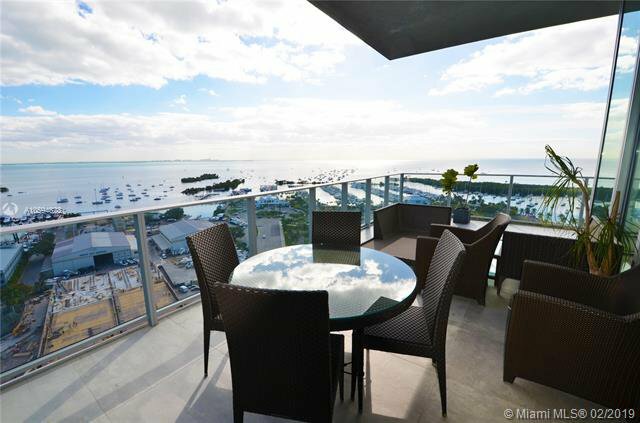 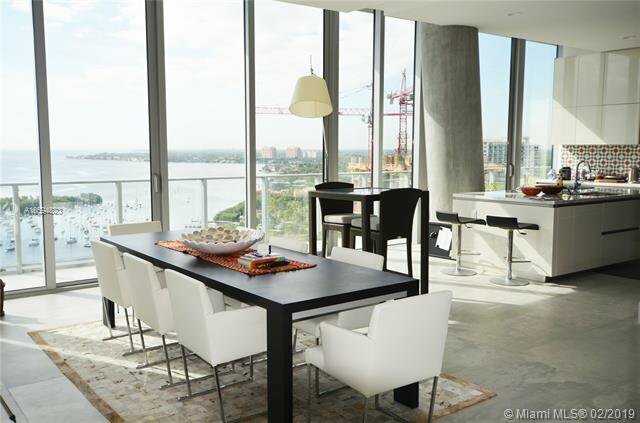 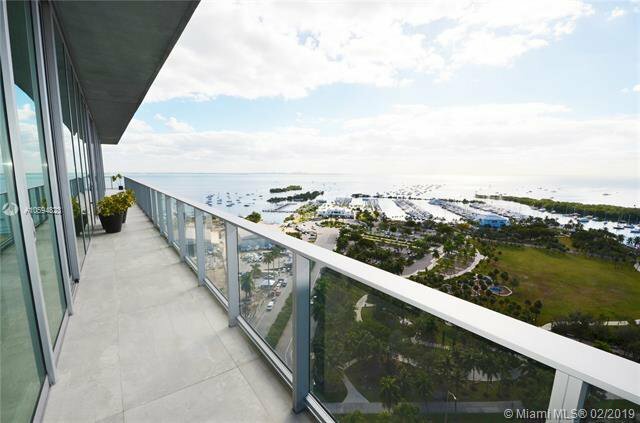 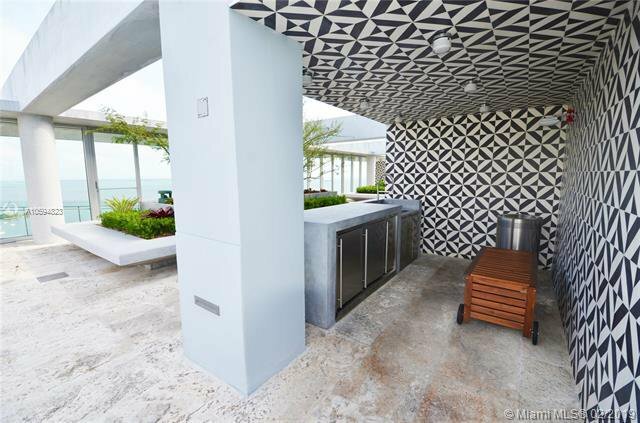 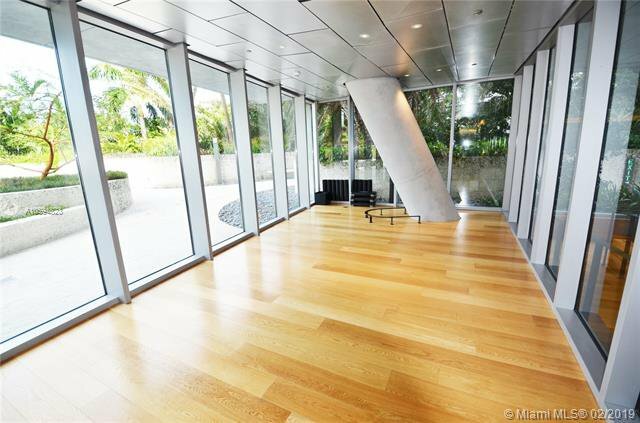 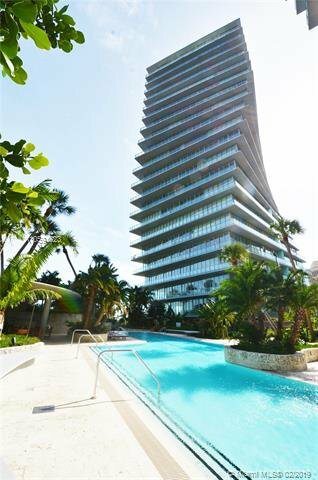 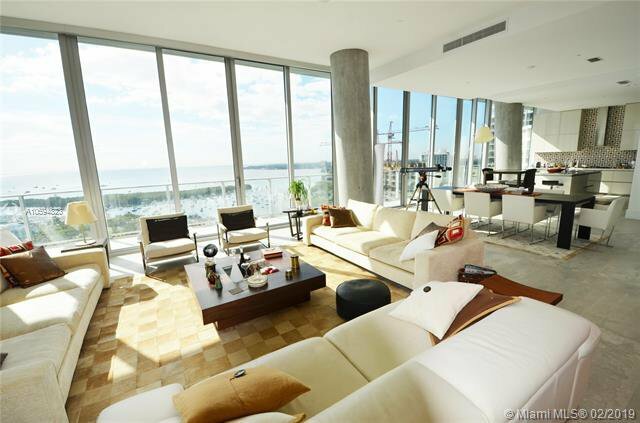 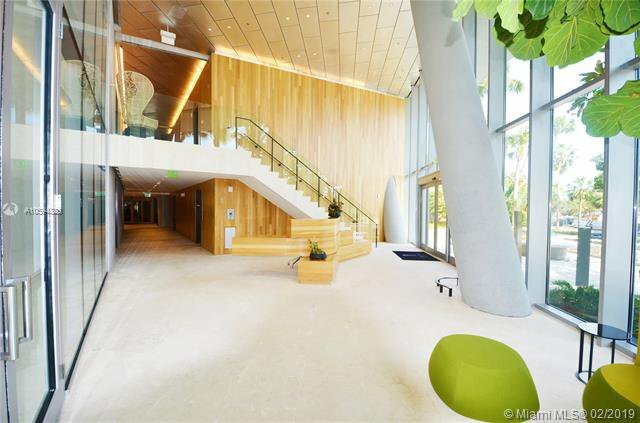 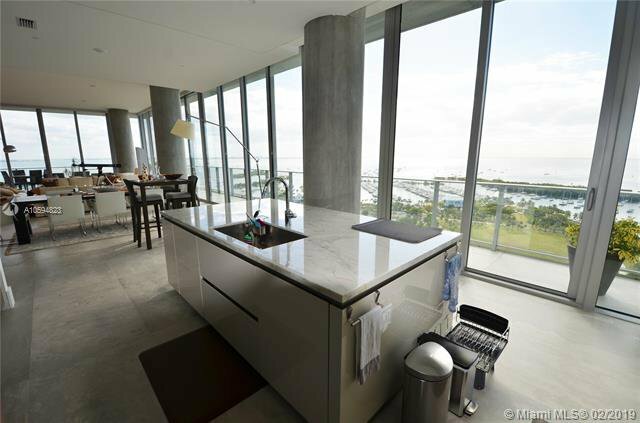 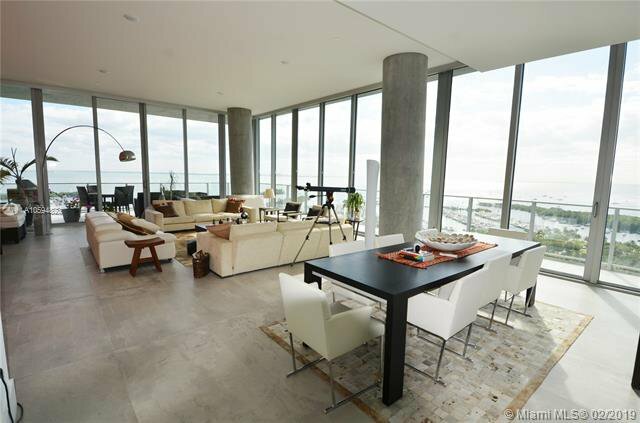 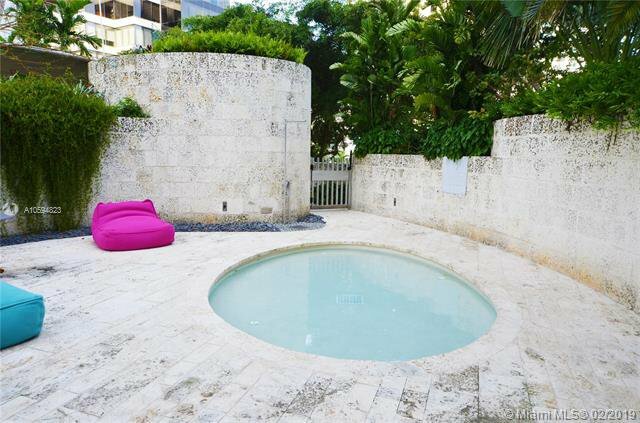 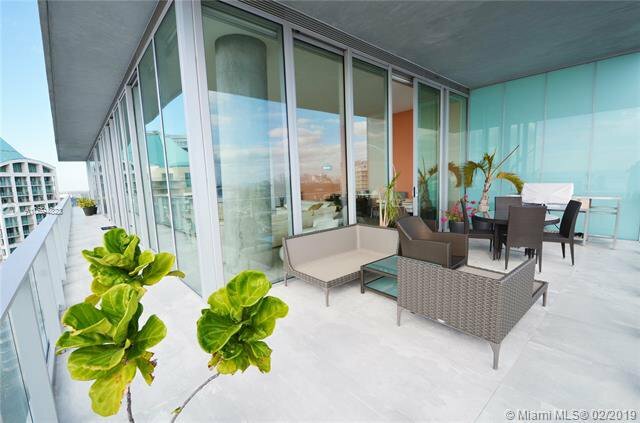 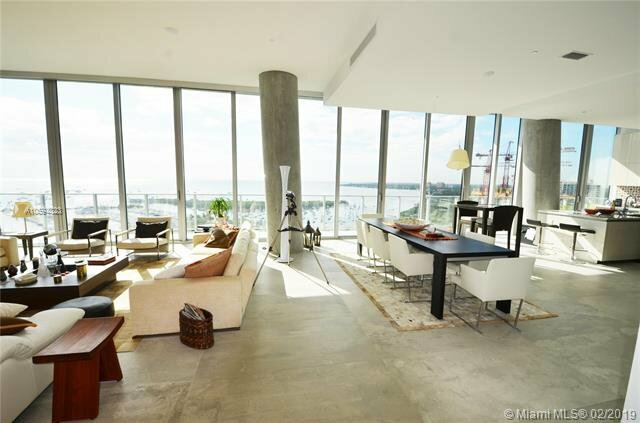 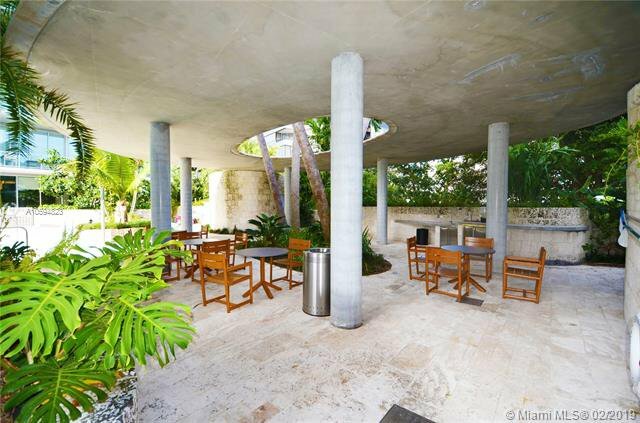 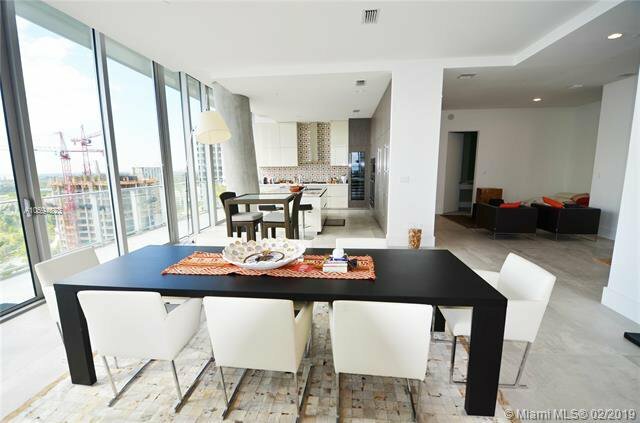 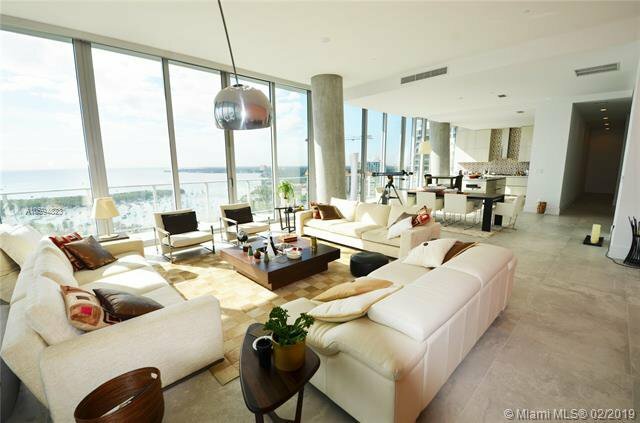 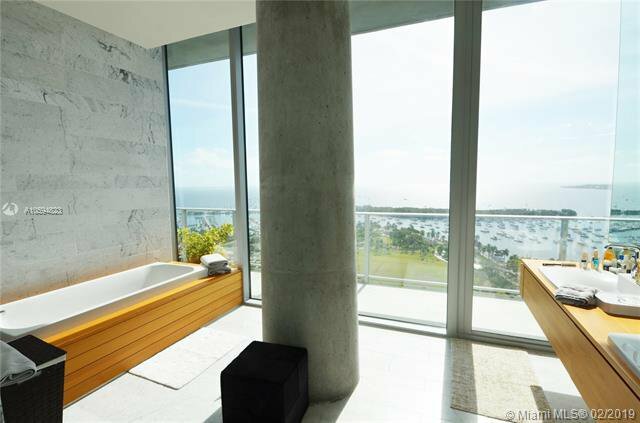 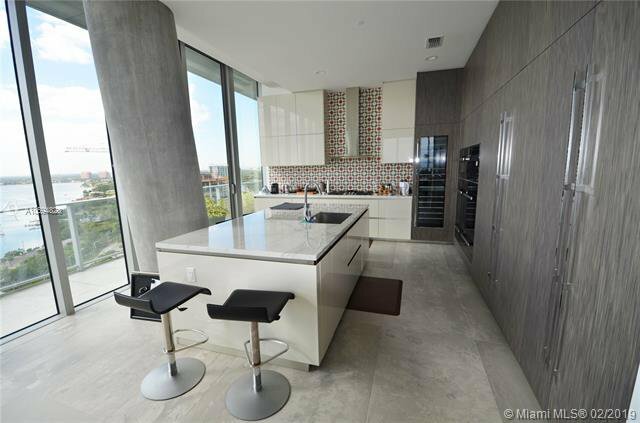 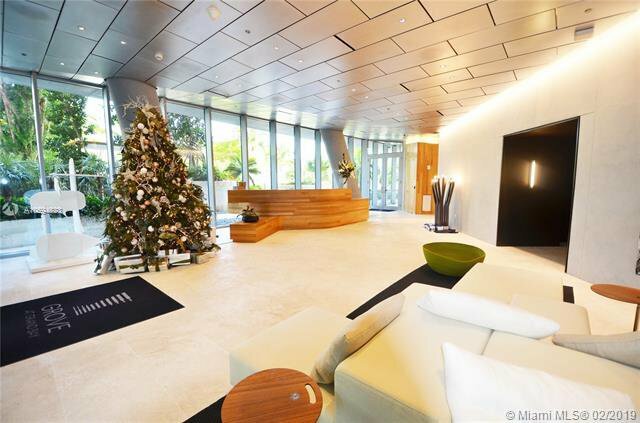 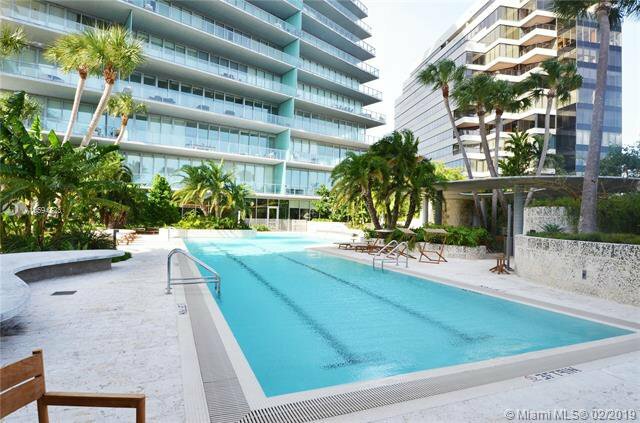 This castle-in-the-sky (4538 total sf) offers spectacular views of Marina, Biscayne Bay&Miami Skyline from a large 839sf wrap-around balcony. 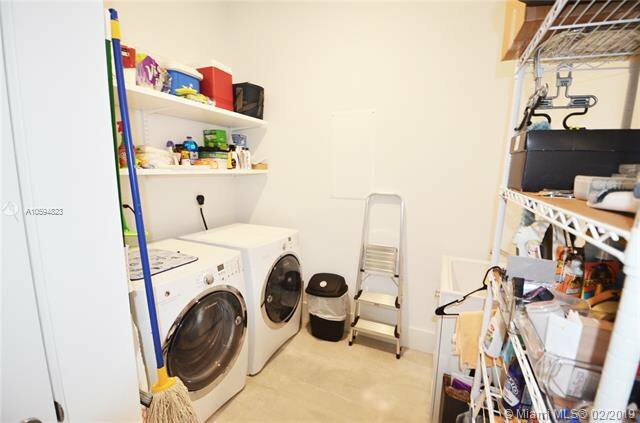 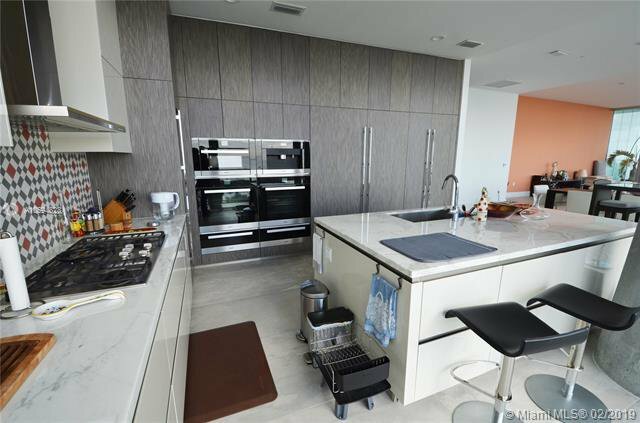 Top-of-the-line Snaidero kitchen w Miele and Subzero appliances. 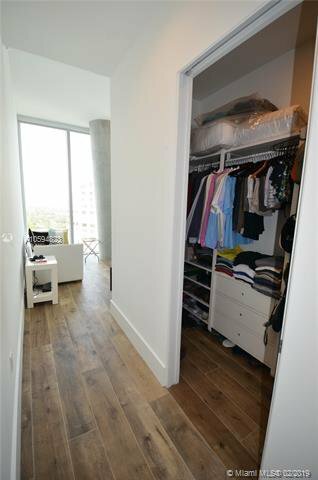 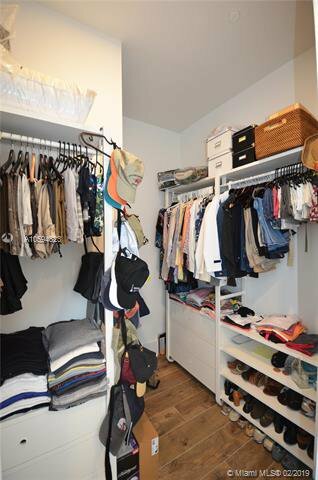 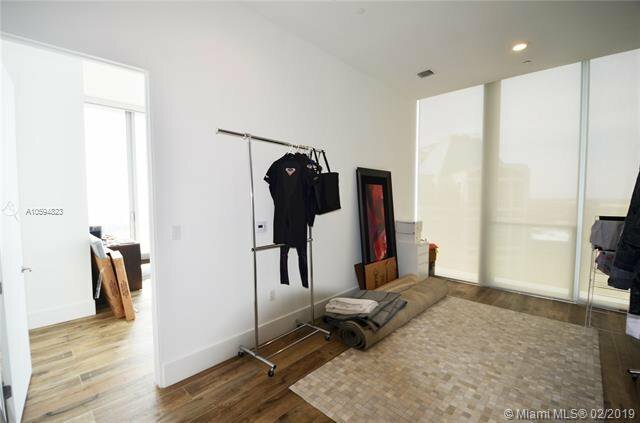 Wood flooring w floor-to-ceiling impact windows, custom closets, & electrical black-out shades throughout. 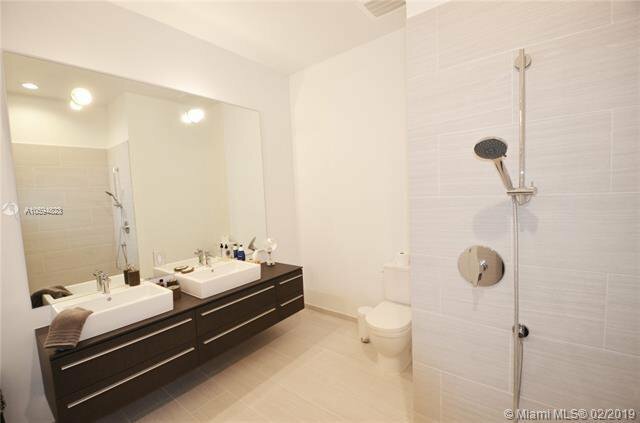 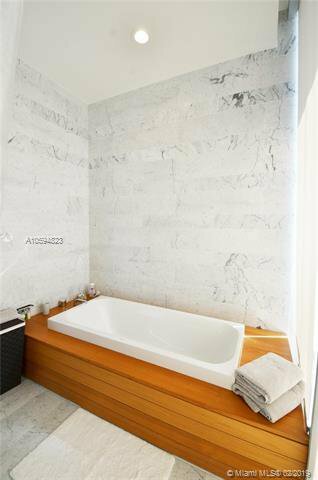 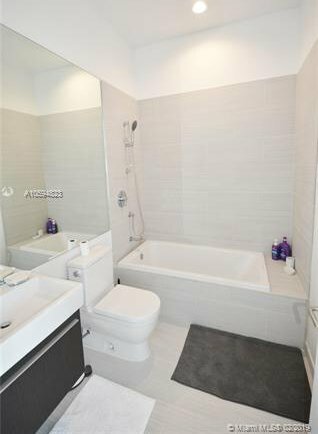 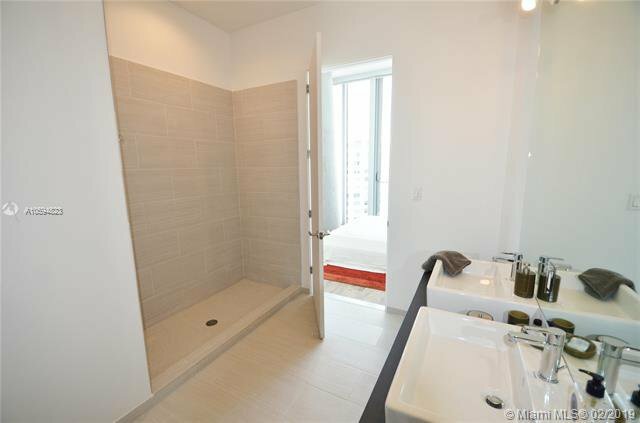 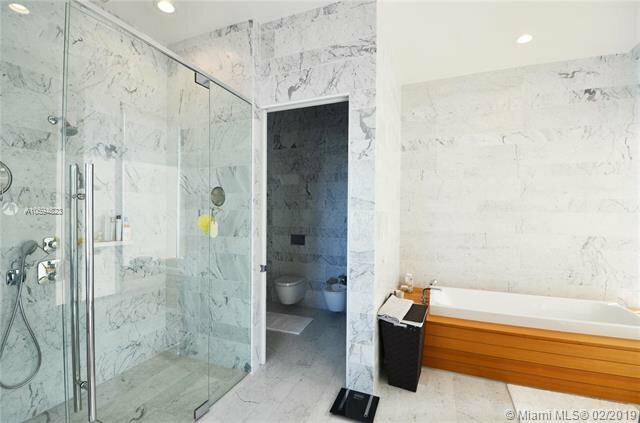 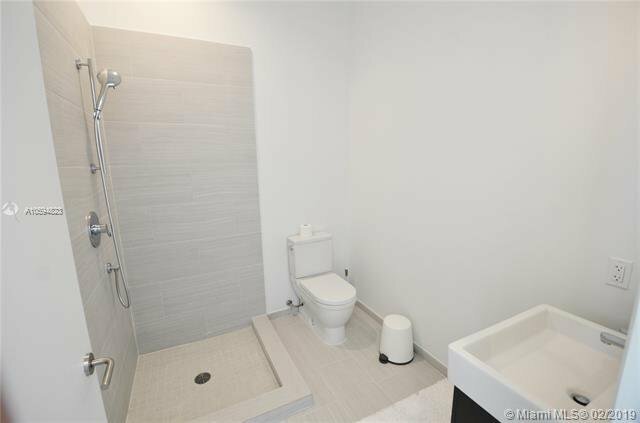 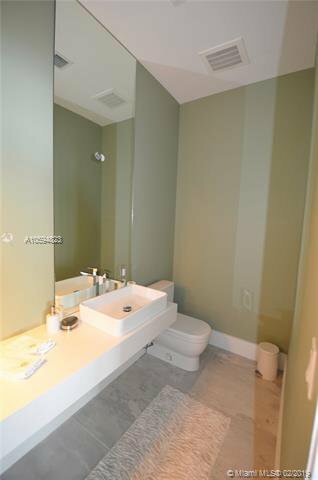 Master bathroom w oversized bathtub & separate rain ceiling shower. 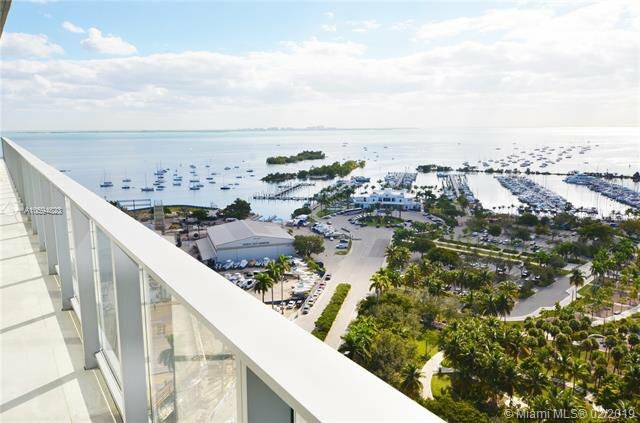 Located next to Grove Harbour Marina, close to best schools, parks, 5-star restaurants&ent. 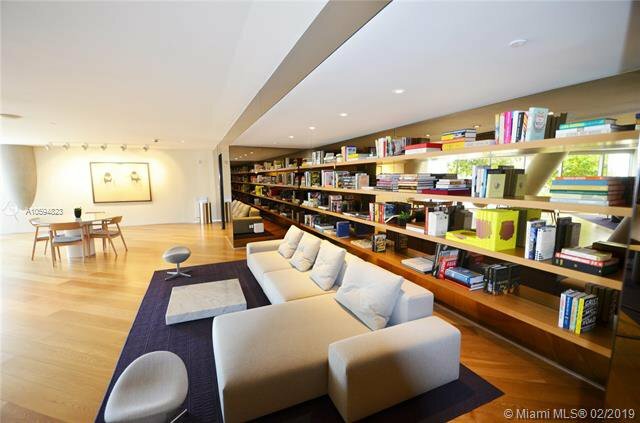 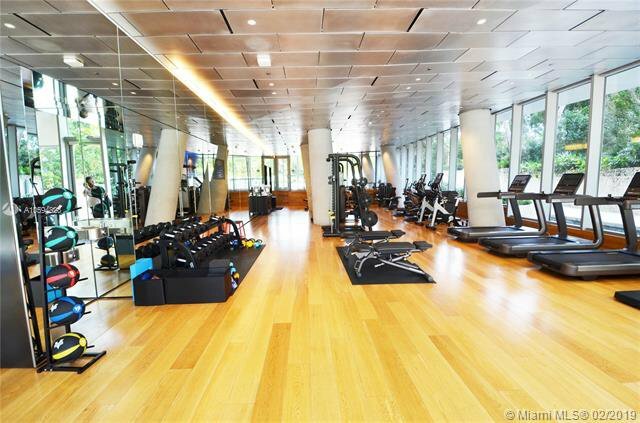 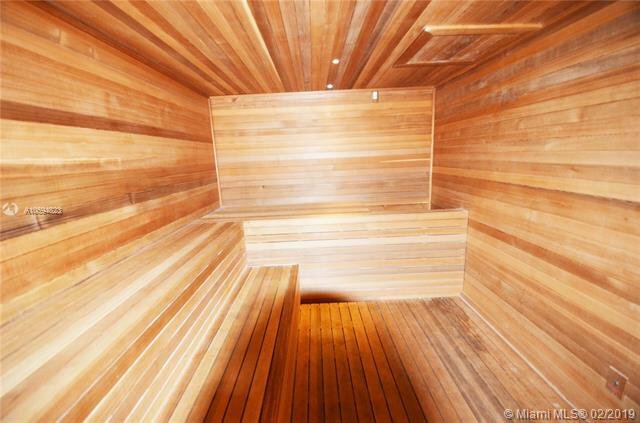 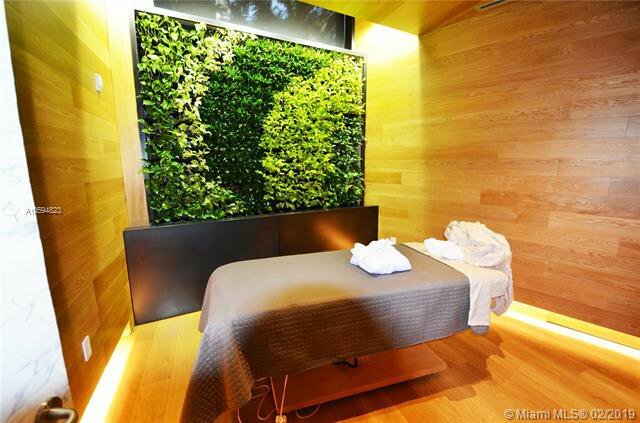 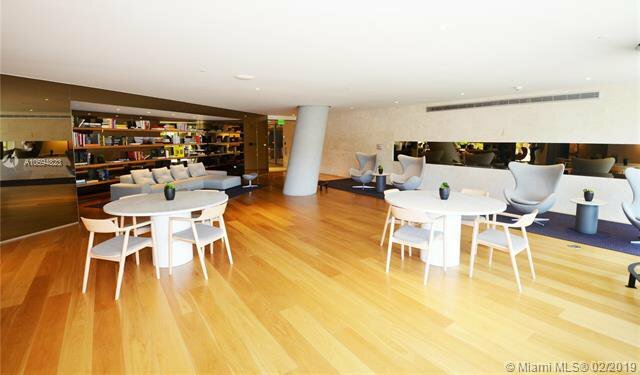 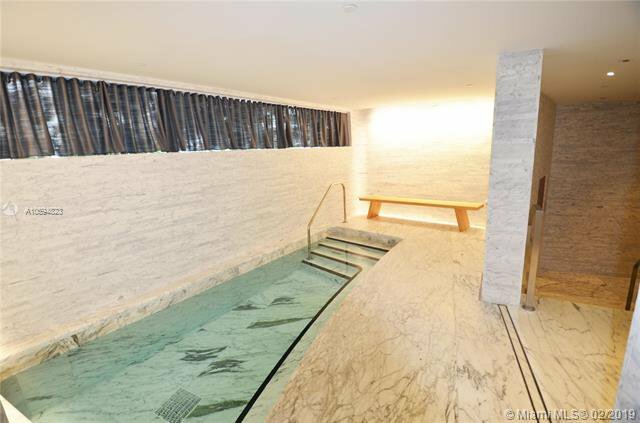 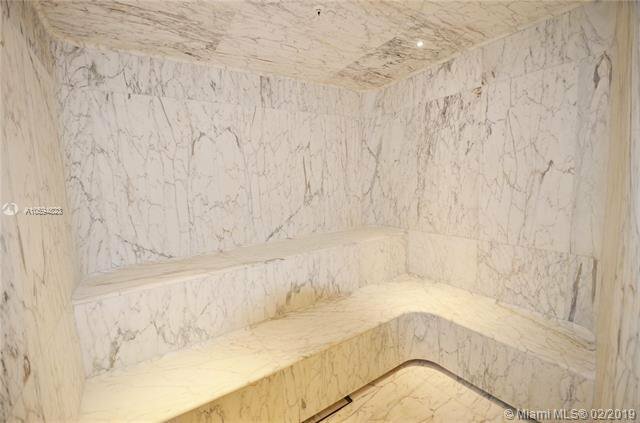 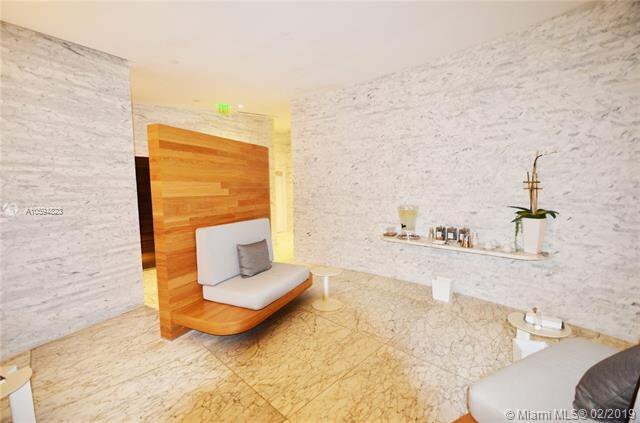 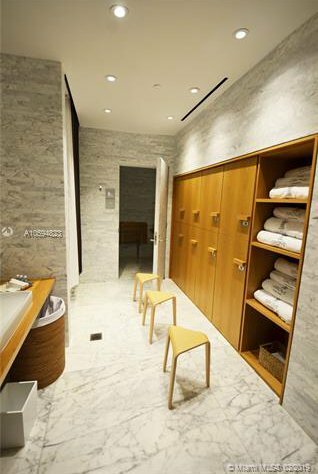 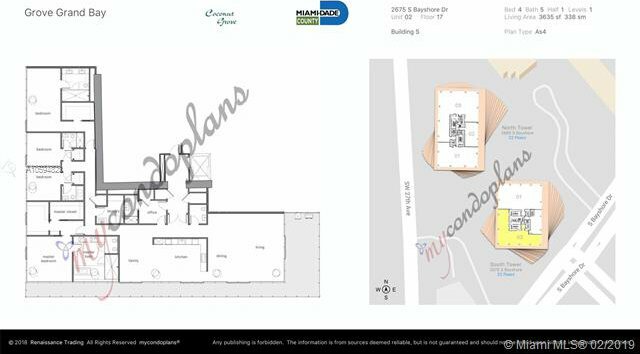 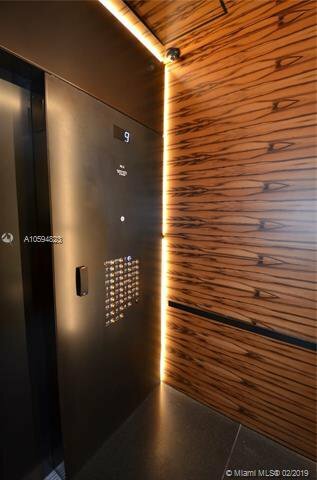 Offers ultra-luxury amenities: private resident dining room w private chef, gym with spinning studio, steam/sauna, spa, white-glove room service, library, roof-top&ground pools & 24hr concierge. 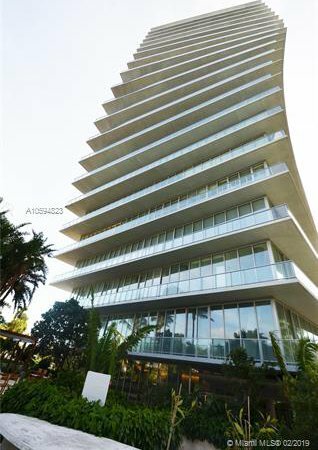 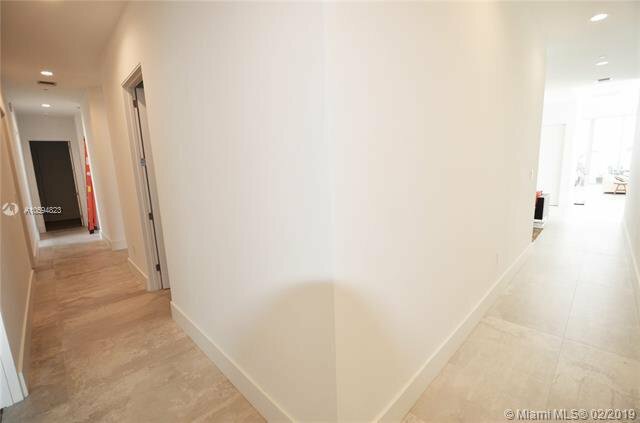 Listing courtesy of Sunset Realty Group of South Florida.